MILAN, Dec 23 (Reuters) - Italy's Valentino Fashion Group (VFG), bought by private equity investor Permira [PERM.UL] two years ago, has agreed a recapitalisation deal, reducing debt by one third to 1.5 billion euros ($2.2 billion), it said on Wednesday 23 December. 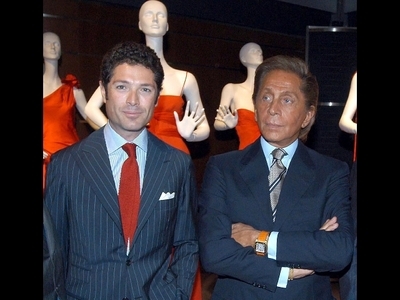 In a statement, VFG said Permira and Italian investor the Marzotto family, who control VFG via the Red & Black company, had committed to putting up over 250 million euros in additional equity in the recapitalisation. The deal includes "the reorganisation of the group structure below the controlling shareholder Red & Black, separating ownership of Hugo Boss from VFG", it said. Germany's Hugo Boss (BOSG_p.DE) is one of three VFG brands, which also include Valentino and Marlboro Classics. Creditor bank Citigroup is selling its debt position to Red & Black, while Italy's Mediobanca SpA (MDBI.MI) and UniCredit SpA (CRDI.MI) will continue as lenders, VFG said. Terms on the remaining debt have been amended to increase VFG's financial flexibility to support its growth plans, it said. Earlier this month sources close to the recapitalisation said Permira was in talks to buy some of the debt amassed to purchase VFG.